Dr. Murray may have educated you, talked shop with you, given you personal health advice or even played golf with you! In one way or another, he has impacted the lives of so many in our industry through his dedication to improving the health of our nation. Widely regarded as one of the world’s leading authorities on natural medicine, Dr. Murray has published over 30 books and has been instrumental in introducing many natural products to North America including PGX®, Pharma GABA®, Curcumin and Glucosamine Sulfate. 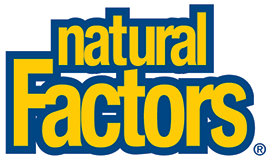 At Natural Factors, we have been honored to have Dr. Murray lead our scientific team for more than ten years as Director of Product Development. We are delighted that Dr. Murray’s long time contribution to the natural products industry has been recognized with the President’s Award.